Boil water in a pan by adding a table spoon of salt. Remove from heat add the cauliflower florets into the boiling water and leave them for 5 minutes. Now drain the water and pat the florets dry. In a bowl, add red chilly powder, garam masala, ginger garlic paste, corn flour, salt, curd and mix them together to make a paste. Add the cauliflower florets to the paste and mix well so that the paste is well coated on the florets. Allow to marinate for half an hour. Heat oil in a pan (just enough for deep frying), and add the florets and fry them in a medium flame until the florets are crisp and golden brown. 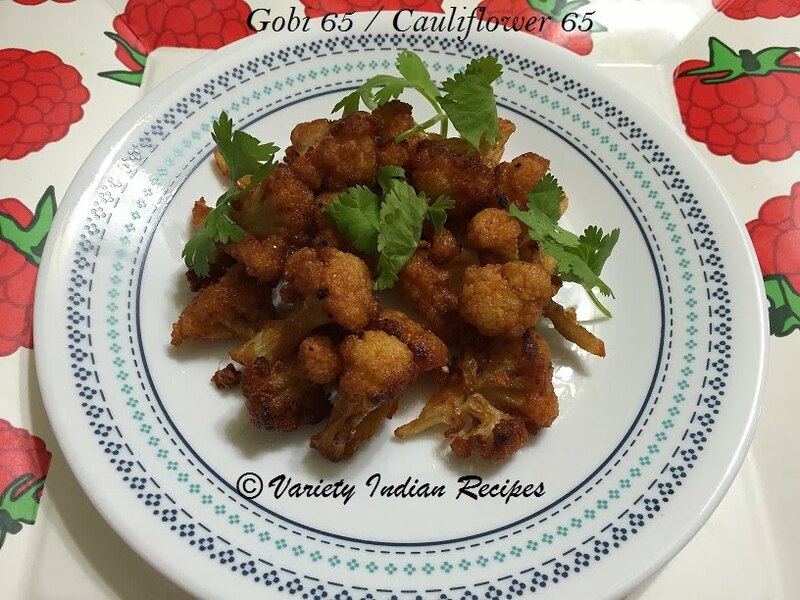 Now crispy gobi 65 is ready.